There are 12 tassels on each garland. 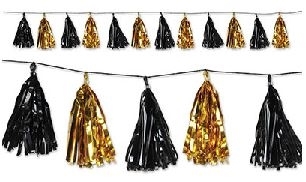 Attach this garland to balloons for the fun tassel look that everyone loves! Hang it as a garland, too! !